With anticipation rising about the expected launch of 2018 Toyota Vios in Pakistan, the petrol heads are eagerly awaiting any information about this exciting new vehicle. Vios is a family sedan by Toyota, which the companyplans to launch in Pakistan in 2018. Toyota has been a famous car brand in the automotive market of Pakistan with some well-established nameplates already ruling the hearts of car enthusiasts. Toyota Vios is available in the car markets of Malaysia, Philippines, India and others where it is one of the most sought-after Toyota Vehicles. 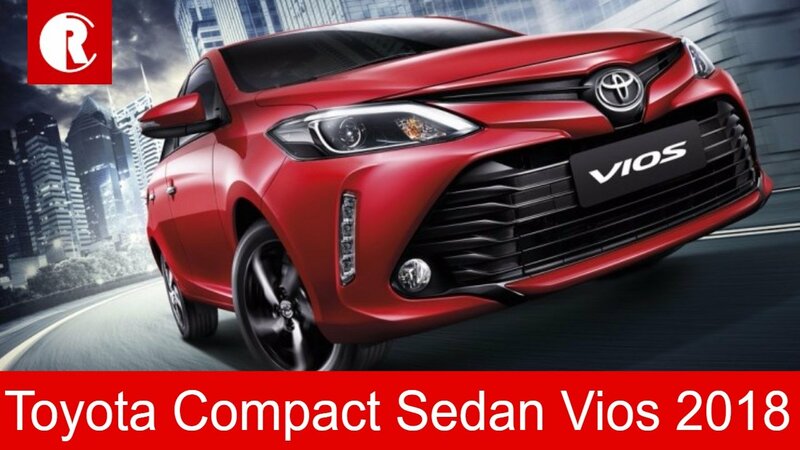 The launch of Toyota Vios can prove to be a big breakthrough for the famous car brand as it will fall in the segment of the midsize semi-luxury sedan and give a tough competition to the likes of Honda City and Suzuki Ciaz. The design language of Toyota Vios is based on a sharp and elegant design complemented by contemporary sedan looks. The exterior of the sedan is welcoming and delightful while it’s interior and purposefully built to deliver an exceptional driving experience to the driver and passengers. The sharp and stunning exterior of Toyota Vios can give an adrenaline rush to the onlookers when the vehicle is one the move and even when it is standing still.It boasts a long and distinctive hood that depicts sheer style and class. A recognizable front grille blends in with the bright and wide Xenon headlights while the Toyota badge at the center is the highlight of the exterior. The edges and fine lines flow throughout the bodyand make the Toyota Vios a true delight for car enthusiasts. The carefully crafted curves define the design language of the Vios. It looks sleek and stylish from the front-endand the rear end of the vehicle demonstrates excellencewith state-of-the-art taillights and fog lamps. Toyota Vios is available in the worldwide car markets in 12 different exterior colors. These colors are Freedom White, White Pearl, Gray Metallic, Black, Red Mica Metallic, Blue Mica Metallic, Orange Metallic, Dark Brown Mica Metallic, Alumina Jade Metallic, Blackish Red Mica and Thermalyte. The interior of the Toyota Vios is laced with a wide variety of modern day amenities for maximum comfort and convenience of the occupants of the car. The interior is spacious and can easily accommodate 5 passengers which makes it a true family sedan. There are a plenty of entertainment options available for ultimate fun and high-qualityleather seatsjust take the comfort of the Vios to an entirely different level. Some of the delightful in-cabin features of the Toyota Vios include a 7-inch display screen with touch interface, 4 speakers and Bluetooth connectivity. There is also a MirrorLink System that allows you to transfer the media from your phone to the touchscreen of the car for enhanced fun and pleasure. Toyota Vios features the segment’s finest engine lineup with a variety of engine options available that can be selected as per the choice of buyers. The four engine variants that are available in theglobal car markets are 1.3 Base, 1.3 J, 1.3 E and 1.5 G. However, Toyota Vios is expected to be launched in Pakistan in just one engine option. It will be a 1.3-Litre DOHC 16 Valve engine with Dual VVT-I technology. It will produce 98 horsepower and a torque of 123Nm. The highlight of all the engine variants of Toyota Vios is their fuel efficiency. The 1.3-Litre engine variant is expected to deliver a fuel average of 14-16 Km/L. There are plenty of safety features and driver-assistance technologies that make the Toyota Vios a safe vehicle to travel. It takes care of the safety of passengers which augments the family car appeal of the vehicle. These advanced car safety technologies help to avoid a dangerous road accident and can also provide protection from fatal injuries in event of an accident. The Indus Motors, which is the official distributor of Toyota vehicles in Pakistan hasn’t announced any launch date for Toyota Vios yet but it is expected to hit the car markets in December 2018 as per the speculations going around. The expected price of Toyota Vios in Pakistan is PK 1,750,000.